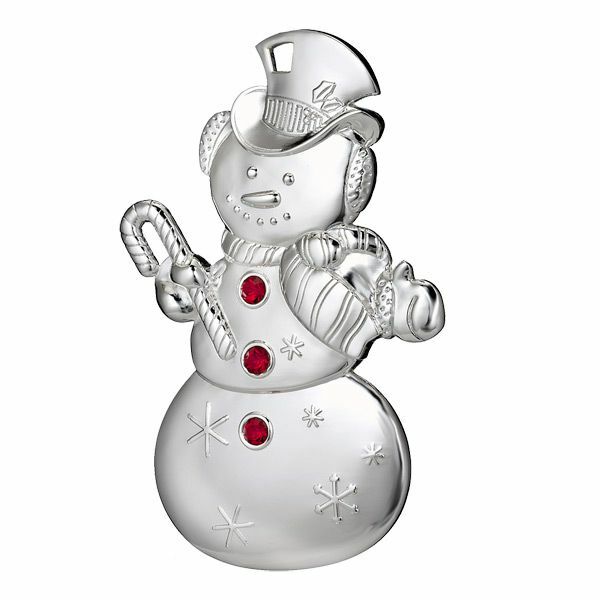 The Waterford 2012 Snowman silver Christmas ornament is sure to bring a smile to everyone who spots him on your tree. This silver snowman is wearing a top hat and scarf, holding a candy cane and has red crystal gems for buttons. This ornament is gift boxed and measures 3-3/4".